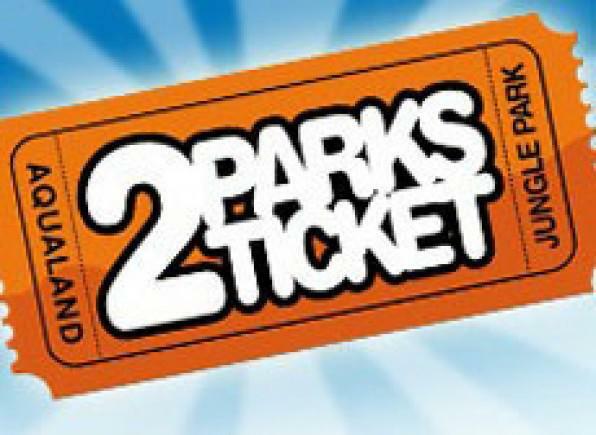 Enjoy 2 fun days out with 1 ticket. Buy the 2 Parks Ticket to Aqualand and Jungle Park and enjoy 2 the best parks with your children at one exceptional price. If you buy tickets to Aqualand and to Jungle Park separately, it will cost you 25€ per each and finally 46,5€ for two parks. 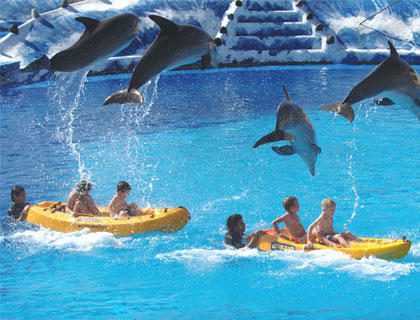 With a 2 Parks Ticket you will save 14€ per adult person and will visit both Aqualand, the children’s water park with dolphin’s shows, as well as the only real natural junglein Jungle Park, a zoo where animals are living close to their natural world conditions. From Las Americas, Los Cristianos, and Costa Adeje you will have free bus service. At the time, when our representative will be issuing your tickets, she or he will provide you with all the details and information about the Pick Up point, etc. Dolphins Show time: Monday – Sunday: 3:30 PM (July & August: 12:45 PM and 3:30 PM). Right after Payment Request is paid you will get your Entry Tickets by e-mail to print it and take with you to show it at the desk of the first park you’ve decided to visit. Starting from the Ticket validity date you will have 14 full days to visit both parks – each park in a different day. You choose days for each park by yourself. 29.50€ – per child 5-10 years. 13.50€ – per toolder 3-4 years. free – per infant 0-2 years. The price include entry tickets with access to all the atractions of Jungle Park and Aqualand, free bus service in zone Los Cristianos, Las Americas, Costa Adeje. 34.50€ – child 6-11 y. 18.50€ – for a child 2-5 y. 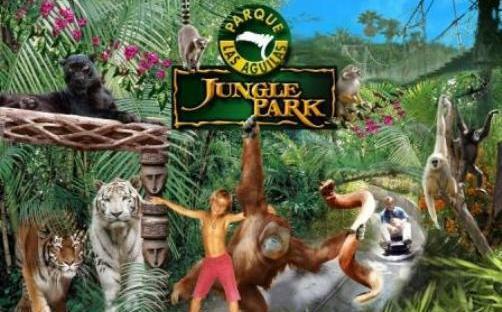 The price include entry tickets with access to all the atractions of Jungle Park and Aqualand, bus service (at Tuesdays and Thursdays only) from zone Los Gigantes – Playa Paraiso. 2 days, a day per one park.